Prior to the launch of Octopath Traveler on the Nintendo Switch, it was revealed the final release would be the complete product and there were no plans for downloadable content. Regarding paid DLCs, we had decided from the beginning not to create them, so there are no plans right now. And as for a sequel, we still cannot say anything concrete yet, but we’ve just started talks on how it ought to be. Asano was also queried about future entries in the Bravely Default line and reassured Famitsu this series would make a return. The primary goal is to not rush out a game every year, and instead take time to make a title with the same volume as existing releases. 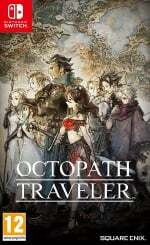 Would you like to see more games based on Octopath Traveler and Bravely Default released in the future? 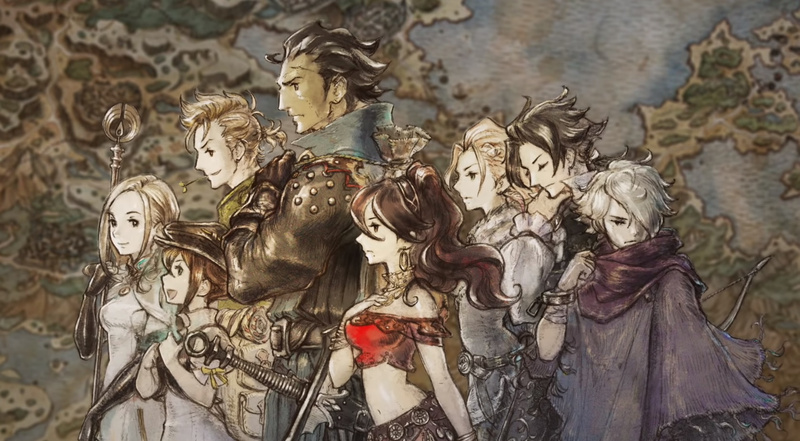 Are you excited about a possible sequel to Octopath Traveler? Are you glad the current release won't be receiving downloadable content? Tell us below. I rather see a sequel / new story than DLC, which also fixes the problems the first one had, like the story. I’m loving the game, but in reality the 100+ hours it’s taking me to get to the end has given me exactly what I wanted. There comes a time when I just want to move on to an entirely different game. At the moment I feel entirely the same with Xenoblade 2 and Rabbids. They’re all great games but more of the same in DLC would fill me with dread. Plus there’s so much more good stuff I have waiting that I haven’t even started yet. A sequel would be nice but if the game story actually ends well I agree that it would be better just to restart a new again. Maybe make a new game taking place in the same universe as Octopath Traveler but call it something else and use similar game engine while introducing new mechanics as well. I'd be down with a sequel, assuming it's not too soon. I really enjoyed the game. Not keen on DLC though, I rarely bother going back to a game to play DLC after I finish it. Xenoblade 2's DLC is looking to be the next gold standard for DLC in JRPGs, adding a new campaign with different mechanics from the main game (so it's not completely more of the same) and multiple new modes to take part of for endgame stuff. If these guys ever go back on their word to make DLC, they should take cues from Torna: The Golden Country because that is DLC done right. Especially if it's a standalone expansion that can be purchased separately for a cheaper price than the base game. But a sequel is far more likely. They've got the engine already, so what they should do next is tell a better interwoven story between characters with more character interaction. Seeing as this was called a spiritual successor to Final Fantasy VI somewhere (I can't remember the source), please, by all means, give us a sequel. A little breathing room first because I spent over 100 hours on this game already and have to stop myself from spending another 20 hours for the endgame. I loved this game. What few things I would change are minor issues when compared to the 80+ hours of raw fun it gave me. I'd just like the characters to interact more and when they join up with one another, to actually have a series of events that explains why they have joined up. Not just "Hey, I am on a journey, wanna help me rob this mansion? In return I will help you murder that guy who killed your dad" - heck, even that level of initial interaction would have been preferable. Still, I utterly enjoyed each character's individual stories and loved the little bits of banter that we did get. And the gameplay was some of the most solid turn based RPG combat I have ever enjoyed. Great game but some of the stories could do with being a bit better and some better translation. YYYEEEAAAHHH!! I'm thoroughly loving this game and I already can tell that when i'm done i'll want more. A story expansion including all characters interacting with each other throughout the journey would remedy the problem many had with the base game. I'd like to see that as well as a sequel. Creates sequel: "manager summoned overtime!" Compiles code: "kernel sharpens processor!" Game almost finished: "Random work double occurred!" Compiles code again: "random double bug occurred!" Personally I thought the story was great, with the only issue being that the game played as if you were alone during your entire journey, while clearly contradicting that and stating you're travelling in a huge group... While also letting you know that you don't have to travel in a huge group, and that the game would act as if you weren't travelling in a huge group in every story segment. It was a minor flaw that wasn't really annoying as much as it just felt a bit weird. I got over it fast. I absolutley love the game and its art style,it's the first ever turn based RPG I've really got into in all my years of gaming.However I would prefer a new IP using the same engine rather than a sequel.Perhaps something set in the future on some mad looking alien world. Bravely 3 will probably come first IMO. @Blizzia What is a minor flaw for you, is a big one for me. There are tons of JRPG's, with really good characters, stories and their relationships with eachother. The story itself was good, but it felt like a big solo adventure. I've finished 1 of the chapter 4's and now I'm starting to finish the other ones. Ive clocked up 80 hours at this point so I can see I will probably have at least another 20-30 hours possibly more depending on what secrets I've missed. I'm happy with this and happy its not being made dlc. for the price youi are getting a lot of game! This to me is great. Sorry but hate DLC, a game should be finished when it is released. Not added on to over time for a price, which was obviously supposed to be there at athe start, but the devs hadn't finished the game yet, but still released it. I'd love a sequel with more organic interactions between the party members. That's an area that could use some work. I wish the sequel would make the dungeon crawling and general game progression more interesting. The game was so painfully formulaic with how each chapter played out with it always being set in one town and one dungeon each time. Dungeon crawling could be improved by including some simple puzzles, hazards and traps and gimmicks to at least somewhat differentiate all the dungeons from each other, and some more interesting set pieces too to make it seem less like the dungeon layouts were just generated with an algorithm. @Saego Ah okay, so that was what you meant. Yeah I didn't take it so badly, it was slightly odd but really fine with me. That being said, I would definitely prefer if the sequel did not treat it like a solo adventure, instead playing heavily upon the relationships between the characters. It might also be too much to ask, but I'd also like the story to actually be split between every possible combination of 1-8 character runs, writing out the plot parts certain characters play if you choose not to recruit them, and having other ways to fulfill mandatory plot parts. It'd be a huge undertaking, but it would be really cool. If there's a sequel, I hope this series will follow the Final Fantasy model : new characters/new setting each time. Also let's hope they heard criticism about the repititivity of the game. I dont know usually I am a huge RPG-fan but ffs I cant get into this game. Everything seems so dull and repetetive for me. I have all 8 heroes but it kinda feels empty. Nothing I do seems to impact anything. I'd definitely be down for a sequel. As others have pointed out it just needs more meaningful character interaction and some intertwining between the character stories, however minor. Also an endgame that isn't completely optional. I don't mind punishingly difficult postgame content for those who enjoy that sort of thing, but tying it into major story revelations, thus ensuring that many gamers will have to look this stuff up rather than get to experience it themselves, is just cruel. I haven't finished Octopath yet, but I like that there's no DLC planned and the entire game is on the cart. Bring on a sequel that's the same way! The Bravely series I still haven't gotten around to picking up yet, kind of holding off hoping there's going to be a 2-pack re-release of them on Switch before the 3rd comes. Let the sequel be named 'Noble Eightfold Path'. Lets talk about the elephant in the room. Octopath is kind of boring. Im into the second chapter with all 8 characters and, Im enjoying myself and Im bored at the same time. Story is of course a huge part of that...if not all of it. I guess thats the thing...you really recognize the lack of good writing when a game has a sprawling campaign length. I'd also like to see rpgs of this style develop more of a Diablo like loot/equipment system, from the equipment screen where you physically drag and equip your armor to the massive variety of loot drops with sets of equipment that give you bonuses. I realize there are limitations here due to lack of a mouse and other issues...Im just saying Id like to see a creative hybrid combination of the 2 styles of games. Ultimately, Octopath is a good game with a great graphical style that is marred by the lack of story and not enough other fresh elements for it to achieve legendary status. Now if you'll excuse me, Im off to level up my characters. Didn't the developers already announce months ago that it was considered a complete game and would not be receiving DLC? I’ll take a sequel. Make this into a franchise please. I would prefer a tighter and more integrated story and less characters. Tri-path please. I got pretty bored having to click through endless dialog for eight separate characters. There were kernels in there where I thought the story was going in a much more ambitious direction, but that just didn’t happen. If they just came out with another that has eight new characters I would pass, even if I did enjoy quite a few parts of this one. My only problem with the game is the boss fights... They're overly long and rarely challenging. I haven't played Octopath Traveler yet, but it's nice to know that a sequel is being considered. What excites me more is that the Bravely Default series will make a return. I enjoyed the first game and hope to get to the second in the semi-near future. Also I really disliked the side quest system. I completed most side quests by accident. @FarkyValentine when they are challenging it is in the last phase where they wipe you out and you just waisted 30 minutes of your life. OMG! Please, I need more Octopath Traveler. Trying to play Titan Quest on Switch the other day showed me how horrible that kind of system is on a console, even while TQ is a truly great game on PC. But it's a different genre. Octopath is a game where the puzzle-like battle system is the core mechanic. Diablo is a game where you enter battle and "click to win." Managing the loot/build is the actual gameplay mechanic. I'd love to see a sequel, and frankly, since the first one was an unexpected hit, they'd be silly not to. @MoonKnight7 I wouldn't say it's an unexpected hit. The writing was on the wall that it was going to do very well from the start. The demos gave good press, it had a very safe artstyle (the 2D sprites on 3D environments is not a new nor novel concept, Xenogears did it long ago), and turn-based combat has been clamored for by everyone else ever since even Final Fantasy ditched it. It was also looking like another stab at said combat from Bravely Default, which was proven to be decent. Plus, it was an exclusive that had a huge amount of hype behind it, and even normie gamers that don't play RPGs got into the game, as evident by the people in this website and if you compare this to the other big RPG, Xenoblade 2 which people really seemed to want to hate despite that I think being a better game. And we all know how well pretty much every exclusive sells on the Switch (except Sushi Striker, rest in piece). Well when I say unexpected hit, they underestimated it's performance, given that it was in short supply for nearly a month, and even longer in Japan. So sure, it definitely had exposure, and was well known to the public, it just seems obvious that they didn't expect it to do that well. In it's first week in Japan it sold 110K copies. And while that is very good, they proceeded to have shortages in the coming weeks, so that tells me they didn't quite expect that kind of demand right away. That's all I really mean when I say unexpected hit (perhaps I used the wrong phrase for what I meant). Sure it was always going to be a hit in some degree, but it seemed to exceed Square Enix's expectations right off the bat. "And we all know how well pretty much every exclusive sells on the Switch (except Sushi Striker, rest in piece)." And, Code Name STEAM. May they both rest in peace. That reminds me I still need to buy this game. I just don't want my back log to grow bigger. @MoonKnight7 Put it that way, yeah. But with the whole "drought" of games for 2018, Octopath also launched at the right time, clear of mostly everything else. The stars were aligned with the game, and it being another safe RPG with safe visuals (retro art, even if it's in a $60 game, is still safe art because everyone loves retro art) backed by Square Enix guaranteed it will do well, even if Square Enix thought otherwise because they have extremely weird mindsets at times. First of all I want to find a copy of the physical version, then you can make a sequel. Be a good lad and give us Bravely games in HD, please. I've been holding off on buying them because I'd really like to play them on the Switch.. I definitely would not but dlc for this game. I say this because all the stories were lacking in their 4th act. Not to mention a few of them were boring the whole way threw. If they made a similar game, with similar play style and one coherent, or interlaced, story I'd be really excited. Otherwise it's a definite pass for any sequel. @NEStalgia Ya true. I may just actually stick to my pc version of Diablo 3 instead of getting the switch version. Nintendo should lock it up as an exclusive before it's too late. I hate DLC, except in XC2.